Hello and Happy 2019! If you are like me you are feeling the hopefulness and promise that a new year brings, as well as the frustration and confusion brought about by the state of our democracy. Because there are many things out of all of our control, I am focusing on the small gifts that we can provide and share with others. So let me begin by telling you that my husband has been an elementary school teacher for 27 years – all of them at a small Title 1 school in Lakewood, Slater Elementary. All three of my children have attended Slater and it is the home school for our neighborhood – both mine and Lonnie and Terry’s. Title 1 schools are schools where there is a very high number of free and reduced lunch students. You can imagine many of the needs felt by these students and the challenges that face this type of school. I was surprised a few years ago, however, to discover that many students at Slater are unable to participate in one of the most enduring elementary school traditions – the giving of Valentines cards to their classmates. Something so tiny and yet so significant. It is a small act of sharing our love and friendship in a tangible way and one that I have always taken for granted. When I discovered this and shared this with Lonnie and Terry, we began to donate boxes of Valentines to the school. The family liaison can keep them on hand and give them out to students that want to participate and share with their friends. This year, I am hoping to increase the giving and share Valentines with multiple Title 1 elementary schools. I have contacted several Family Liaisons at schools in our area and the response has been one of significant gratitude. One local school has a 95% free and reduced rate of students and many students that are homeless. I have set up a link under Membership & Donation (Click here) if you would like to give to our Valentine fund or you can donate by mailing boxes of Valentines to The Hanzon Foundation at 1585 Glen Bar Drive, Lakewood, CO 80215. Please try to buy a variety that suits all ages K-6th grade. You will be providing a simple gift but a cherished memory for all of the students that participate. This is just the beginning of the type of giving and programming we hope to provide this year. Recently, I have been thinking a great deal about transitions. This is probably due to having a son that is a senior in high school, a daughter in her last year of elementary school, and another daughter that just moved into an apartment. We all grow up, move on, make choices, and hopefully head off in the right direction. 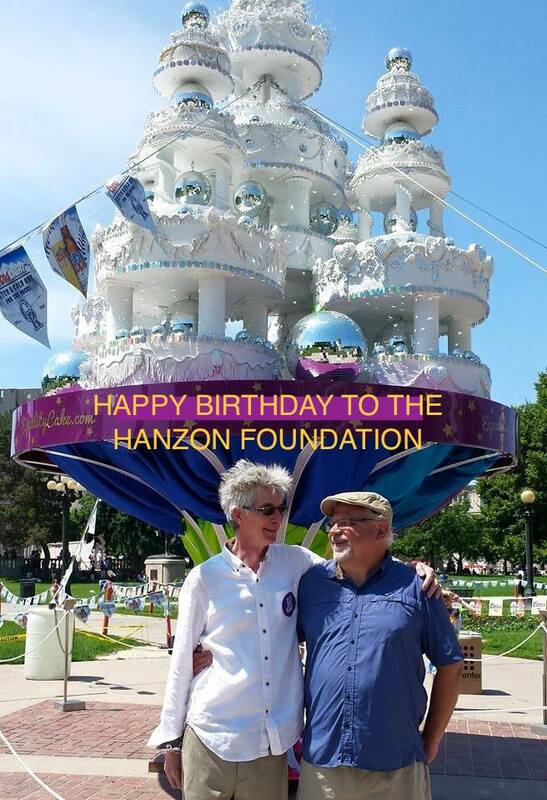 The Hanzon Foundation is also at a point of transition. We were born out of long conversations and many meetings, we have raised money, created projects, promoted events and, on September 12th, held our first Board meeting. It feels good to be at this point and to realize that we really are an actual organization. It is like we just got our driver’s license and we can decide where we want to go and how fast we want to get there. With this reality comes the excitement of making decisions and seeing what the future holds. Transitions should mean something, they should change who you are, push you out of your comfort zone, and into new territory. Many of you may have attended Broken Bone Bathtub, hosted by The Enchantment Society and in the same building where our recent Board meeting was held. We discussed the show at the Board meeting – some had seen it and some were planning to see it – and we shared our thoughts, expectations, apprehensions, and encouraged one another to step out of the all comforting comfort zone. It is funny in life how events collide, how you are sometimes given exactly what you need when you didn’t even know you needed it. Broken Bone Bathtub feels like that. Siobhan O’Loughlin’s performance challenges us but in an environment that is comforting, warm, bubbly, beautiful, reflective, changing, evolving, and vulnerable. Her openness and humor allow us to reveal ourselves and learn about others. “When was the last time you held someone’s hand?” “Have you ever cried in public?” “Who do you count on or call when you are in need?” Just a few of the questions she asks her audience from her mounds of bubbles. As I sit here, leaves are falling from the trees and another transition is occurring. We at The Hanzon Foundation are planning our next steps, breaking out of our comfort zone, and reflecting carefully on where we have been and where we hope to go. And we have a bit of good news! Check out the link below to learn more about the status of Evolution of the Ball.